Criminal Investigations Department officials yesterday informed Fort Magistrate Lanka Jayaratne that the voice recordings of telephone conversations between former Terrorism Investigation Department (TID) DIG Nalaka Silva and Anti Corruption Movement Operations Director Namal Kumara matched. The CID informed the Fort Magistrate based on the Government Analyst’s report that 123 out of 124 voice samples of both Nalaka Silva and Namal Kumara matched. Investigators cited that some data of Namal Kumara’s mobile phone has been deleted and they cannot be retrieved as the department does not have the necessary technology . They said that Namal Kumara’s mobile phone would be sent to Hong Kong to retrieve the deleted data. The investigators also disclosed that Namal Kumara had served at the Sri Lanka Air Force and later joined the Sri Lanka Army without being discharged from the Air Force. The CID told court that Namal Kumara had later served at the Avante Garde Security Service too and an investigation is being carried out into Namal Kumara. The investigators also disclosed that DIG Nalaka Silva had created a fake Facebook account under the name of Rasika Sanjeeweani using his official computer through a Woman Police Constable attached to the Terrorist Investigation Division. Investigators sought a court order to refer the computer in question to the Governmet Analyst for thorough investigation. 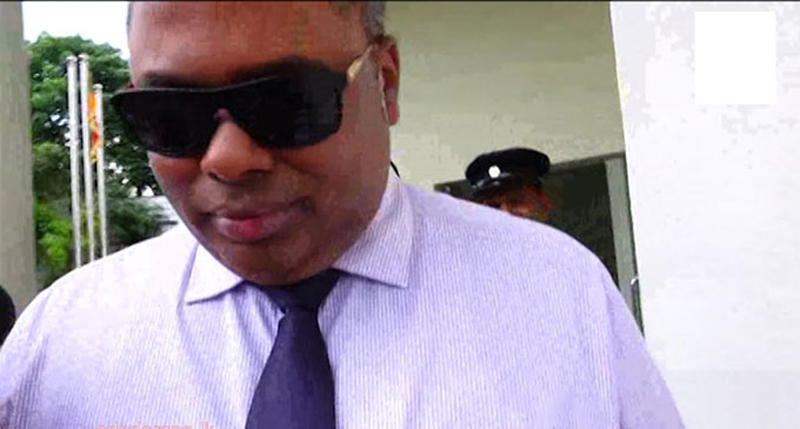 The Fort Magistrate after taking the CID’s request into consideration ordered the Government Analyst’s report over Nalaka Silva’s computer. Attorney at Law Ajith Pathirana appearing on behalf of DIG Nalaka Silva said that his client had rendered tremendous service over eradicating terrorism in the country and some parts of voice recordings given by Namal Kumara had been deleted. Attorney at Law Maithree Gunaratne who appeared on behalf of complainant said that the CID is going to make the complainant as accused.